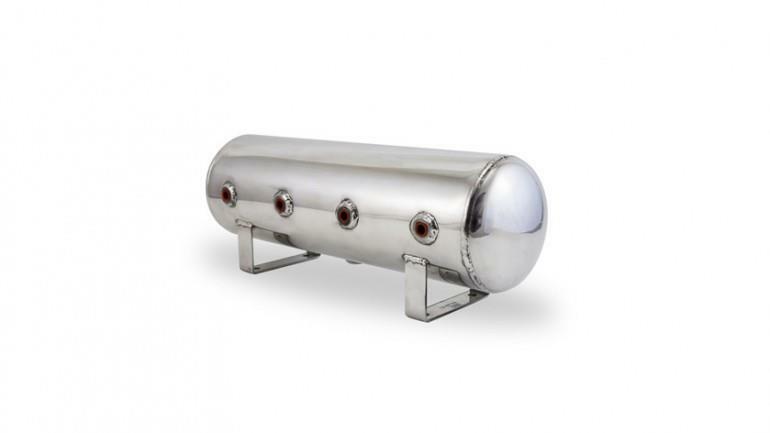 Our air tanks are now available in black steel, raw aluminum or in a super high quality polished finish. If the look is not really your thing, simply take your tank to your favorite powder coating or anodizing shop for a show stopping finish. Whether you decide on a splash of color or bare, you cannot go wrong with the look of an Air Lift Performance tank! A huge benefit with our aluminum tanks is the tremendous weight savings you will see over a standard steel tank. Less weight can mean faster lap times and improved weight distribution.